Corporate and LLC kits for any U.S. state. 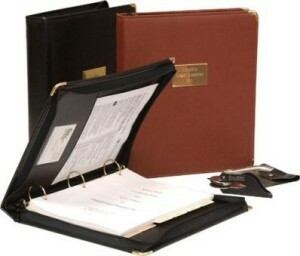 The kit includes general forms and will help you to be more organized. The same kit sells for $100 and more from many vendors. Only $68 for a complete kit with embossing seal. Other kits offer only 12 certificates. You get 20 and can add more if you need them. Reviewed every year for changes and updates. Most orders are processed within approximately 5 business days. Shipping: $30 for UPS shipping. We also provide kits for Close Corporations and Non-Profit Corporations. Use our corporate order form and check the appropriate entity type. Order online. Binder or file containing details on a firm’s history, structure, minutes from meetings of directors or shareholders and certificates. For example each year you should have an annual meeting of directors and shareholders (even if you are only one man company!). Write down results for the meeting, sign it and place it in your corporate kit.